We are one of Victoria's leading karting suppliers. We offer friendly service, expert advice and have extensive knowledge in all aspects of sprint kart racing. Peter and Clint are more than willing to offer assistance to new and experience karters on how to get the most from their karts and improve driving ability. We pride ourselves in providing great service and advice, top quality products and workmanship at reasonable prices. Our kart shop is located in Campbellfield, Victoria. 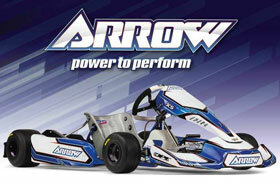 Arrow Karts are Australian owned and built by DPE Kart Technology and have had success right around Australia and all over the world. Designed and Assembled 100% in the USA, CompKart is crafted step by step with the full understanding that Every element makes a quantifiable difference. Fancy something European? 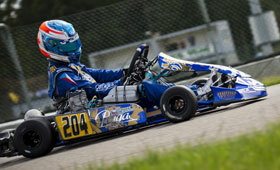 Praga and OK1 Karts are some of the leading kart brands in the world. 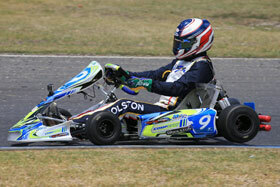 CC Racing is the sole Victorian distributor of Praga and OK1 karts. CC Racing attends most Victorian open races, National races and club days with our fully stocked parts van. The van is equiped with spares for various Arrow, OK1 and Praga chassis, engine parts and other karting accessories. We are happy to offer new and experienced karters advice and support for their karting at the track. So dont by shy, come and see us! We have in house engine development facilities located at our store which includes a state of the art engine dyno. No job is too big or too small, come and see us for your engine rebuilds, blue printing and extensive engine development. Whatever race class you compete in, or whatever make of engine, come and see us, we are one of Australia's premier engine builders. Our drivers get results in both Australian and in overseas competition.